It’s not the most efficient book shelf. I mean, most units its size should accommodate way more books than it does. If you want your book shelves to lend your home a unique aesthetic, however, then the Pols Potten Bricks Standing Book Shelf is definitely going to be worth a look. 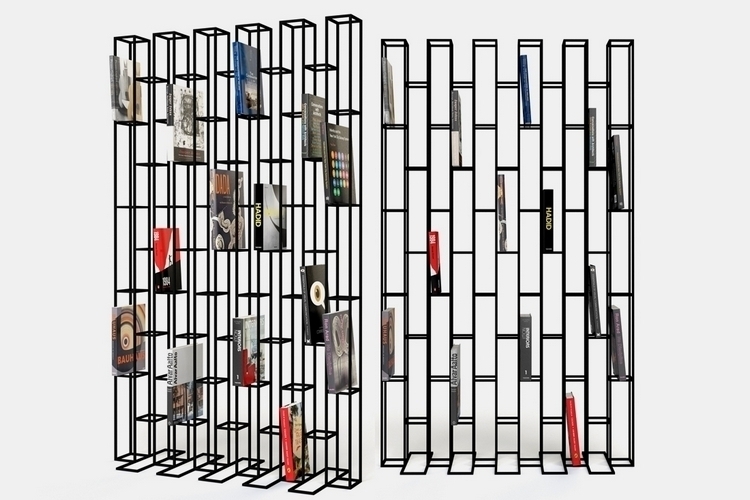 Designed to mimic the appearance of a brick wall (albeit with a vertical orientation), the shelf holds each column of books in alternating heights, creating a unique visual appearance that should lend a special character to any space. 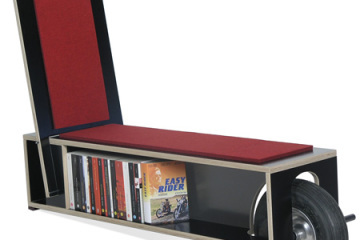 Since it’s freestanding, you can both push it against the wall or use it as a divider, making it highly-functional for use in both living rooms and bedrooms alike. 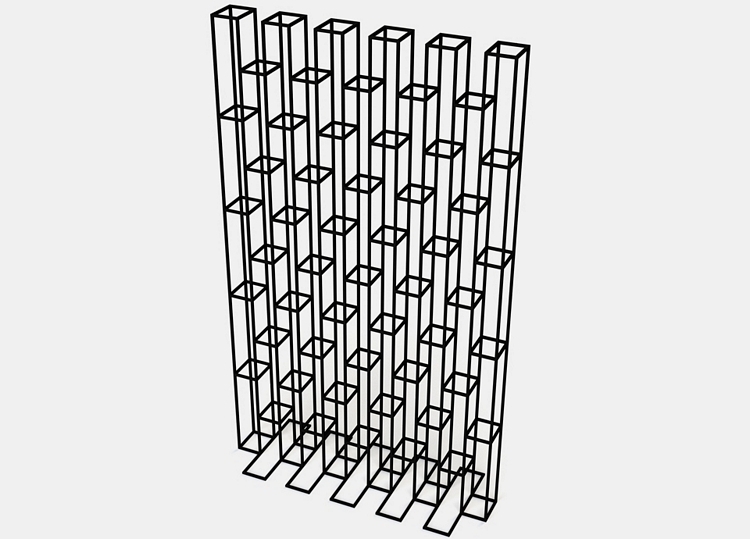 The Pols Potten Bricks Standing Book Shelf has a wireframe structure that allows you to freely see through to the other side. You can block off the view by filing every slot on the shelf with a book, as well as create partial viewing areas by placing your books at strategic slots. 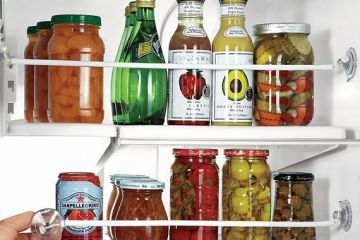 You can, for instance, fill up the entire bottom half and leave the upper half clear, as well as only use every other column or every other row for alternative setups. 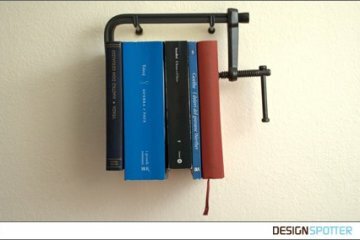 Each one comes with a total of 49 individual shelves that can hold one book each, with the whole thing cut in powder-coated iron, so this should be reasonably sturdy. 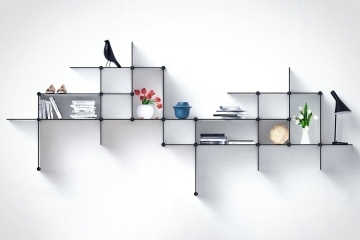 Available now, the Pols Potten Bricks Standing Book Shelf is priced at €1,500. 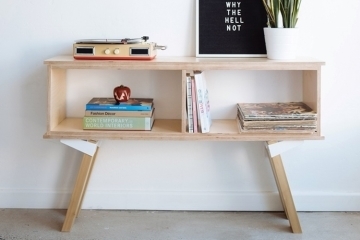 This bookshelf looks odd from an angle but it is definitely unique! I didn’t see it at first, but if you can’t see it either, look straight on, it’s supposed to mimic a brick wall. I have lots of books in our home library so this wouldn’t work for me as it is not the most efficient but it would be beautiful in a book aficionados or interior design enthusiasts home. It really adds some character and dimension to the home. I think it would look great if it was put on a smaller wall and set to appear as if it was part of an accent wall. It would only work if your other three walls weren’t patterned or painted brightly in my opinion. Believe it or not, every slot on the shelf can be filled with a book, giving you 49 spots to store them on this one shelf.